I just found your site tonight and am very happy I did. 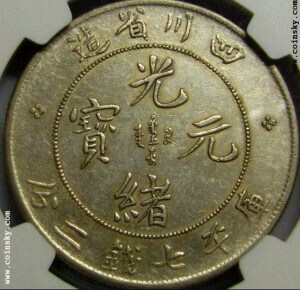 I purchased 7 Chinese coins in Burma in the 1970′s from an old lady whom my employee knew. She was not a dealer in fact in need of the money. She had them wrapped in an cloth and dug them out when we arrived. I may have fallen for an elaborate ruse but I paid an amount, I don’t even recall how much. 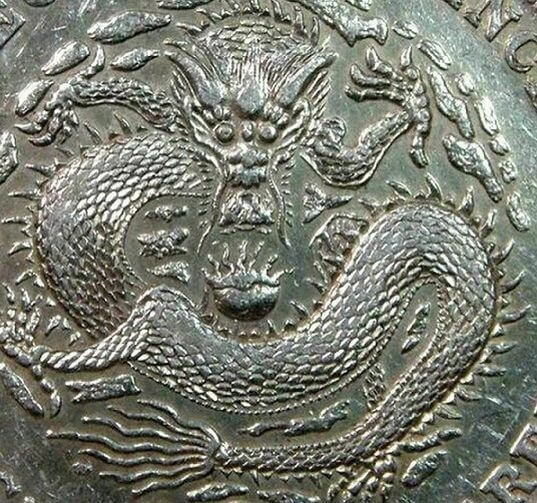 I got them out tonight becauase an annoucement was just received from American Federal R$are Coin & Bullion that they would be in my little town and would like to purchase Chinese Coins!! Strange! The coins were in a basket with many other coins resulting from my travel in 90 countries during my career. The coins are dirty but you article tells me I should not try to clean them. Would you like to see pictures? How can I have them appraised? 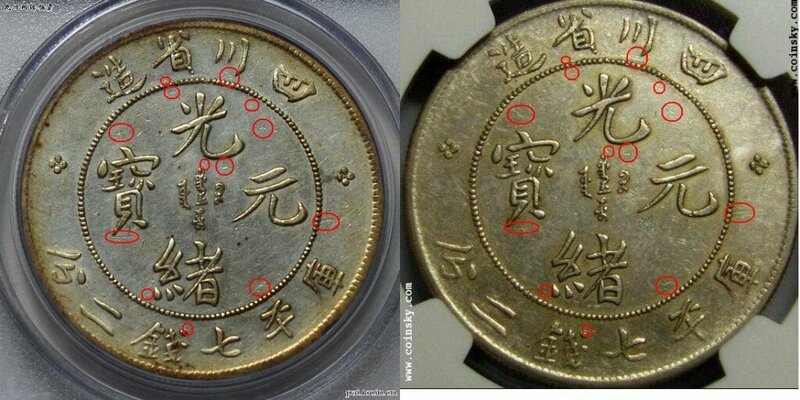 One reads 29th year of Kuang Hsu Pei Yang, Two Szechuen Province , 7 Mace and 2 Candareeens but the reverse is differant, one Tai-Ching-TI-Kuo Silver Coin, another has no English on either side , another seems to be a Empire coin as it looks like Chinese on the obverse and arabic on the reverse, the last is a one dollar coin with an image of apollo on the obverse and Chinese characters on the reverse. It is great that you found the forgeries. I thought the price for a au50 szechuan for 16,500 us dollars is really high. You can buy and ms 62 for less than that. Also, most likely the pcgs folders that you saw are fakes too. The pictures of the coins on your website are fake. Unfortunately, I ran into a buzz of fake high grade coins. Now, i can recognize fake coins instantly. Hello John, you are correct that $16,500 USD would be much too high for a common variety. The 無頭車 variety is both very popular and rare however, so it sells for higher prices; especially as there is only a handful specimen in AU or better grade. Knowledge of the varieties is essential for collecting Szechuan coins, as there is about 200 of them and their price can literally vary an order of magnitude. 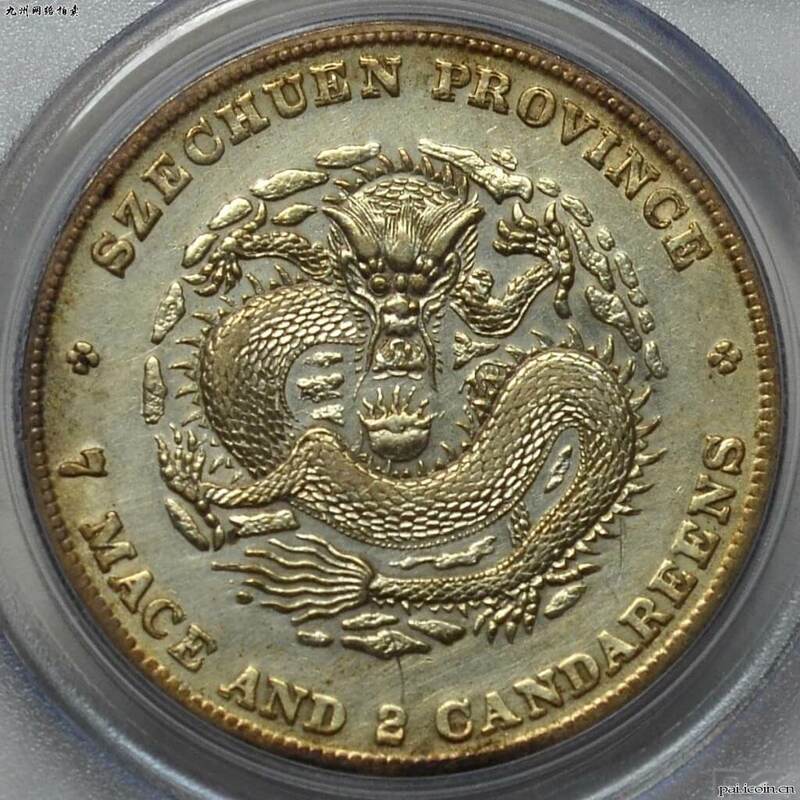 What is this coin worth now? Hello Peggy, prices have remained stable since then, but varies greatly according to condition. If you are unsure about the condition of your coin, you can send it to PCGS for grading. 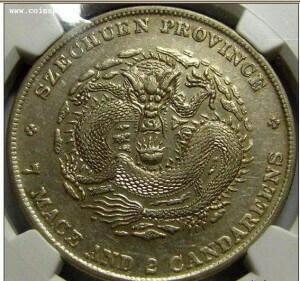 How i to know that is my coin is real or fake? can you take a look my coins?